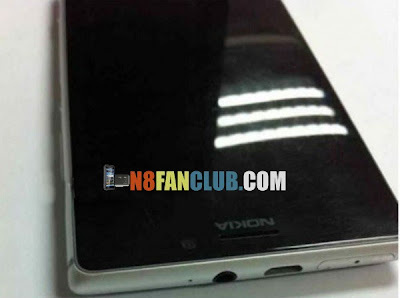 Nokia is supposed to bring Nokia Lumia 920 successor devices, and there will be many new interesting smartphones from Nokia this year. First would be Nokia Lumia 928 with Xenon Flash, then there comes Nokia EOS PureView with 41MP Camera and the third one will be Nokia Lumia Catwalk whose images have just leaked on the internet. (Or maybe its just a prototype device?). Nokia will also be bringing Lumia Phablets with 1080p or higher resolution and interestingly they will be using Samsung’s super AMOLED display. Nokia Lumia Catwalk appears to have aluminium body with plastic cover at its back, probably for wireless charging purpose? 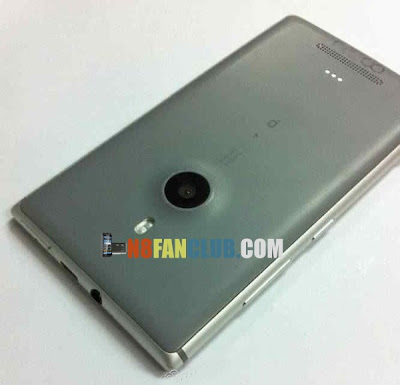 At the back you can see the humped camera sensor with LED flash? ummm, A big PureView camera sensor? There are volume rocker keys and lock button on the side, whereas 3.5mm audio jack with microUSB port on the top of the device. Also there is a SIM card slot on the top of the device. Speakers are placed at the bottom back of the Lumia Catwalk. (Nokia please put up the speakers on the sides for better sound quality experience in future devices). Its worth noting that Lumia Catwalk will be the slimmest Nokia Lumia Smartphone. Other key specs of this device are still unknown. It was already rumored that Nokia will be announcing Lumia Catwalk in the mid of May this year. What are your expectations from Nokia and its upcoming top notch and durable Lumia smartphones with Windows Phone 8 OS? This entry was posted in News, News Update, Windows Phone on by Admin.